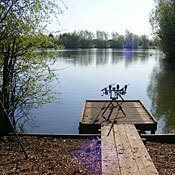 Thorpe Lea Fishery is a premier day ticket water set in 18 acres close to the M25 and M3 motorways. When you buy your ticket, you can also choose your swim. 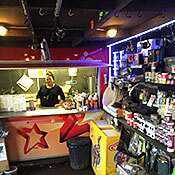 The Thorpe Lea Fishery tackle and refreshments shop. 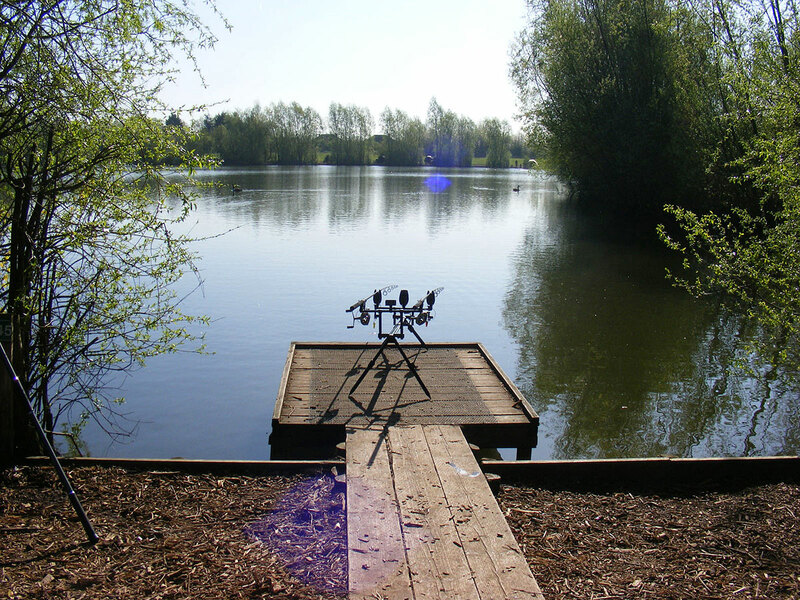 Stocked in 2003 with 2,500 prime carp to 18lb from British Waterways' bagging Mecca, Drayton Reservoir, Thorpe Lea continuously proves itself to be a spectacular fishery and the carp are packing on the weight fast with 27 fish over 30lb already reported and 1 in 3 fish being over 20lb. Bottom baits, floaters, zig rigs, method feeders, bagging wagglers and even the fly all scored in 2014 with non-stop action and mega hauls of carp. 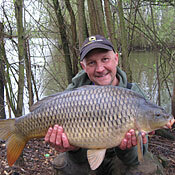 Ian Russell with a nice Common caught at Thorpe Lea Fishery. 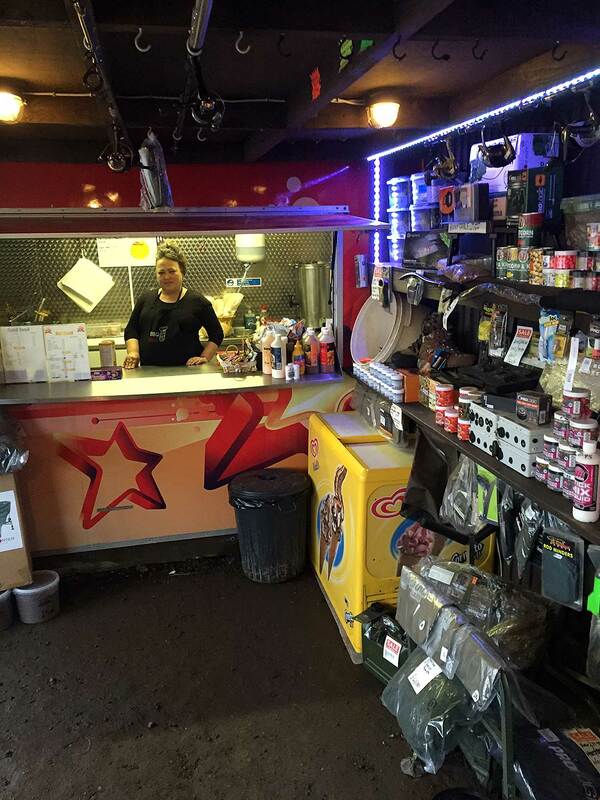 »Where Is Thorpe Lea Fishery? Strictly no visitors allowed on site. One guest per angler will be allowed if they are present when the angler purchases a ticket. All Unhooking Mats, Weigh Slings and Landing Nets must be bio tank dipped by staff upon arrival and departure from our fishery. No maggots can be used on the lake. All anglers must have a carp care kit. Surface and Zig fishing must use a minimum of 12lb line. Maximum 2kg of surface baits allowed per angler. Sorry we cannot take advanced bookings for any swim. Swims are allocated on a first come, first served, basis. For the time being, we cannot facilitate any fishing matches to be held at the venue. Absolutely no bait boats can be used on the lake. You will be asked to leave if there is litter in, or around, your swim. BARBED hooks only - you will be checked! 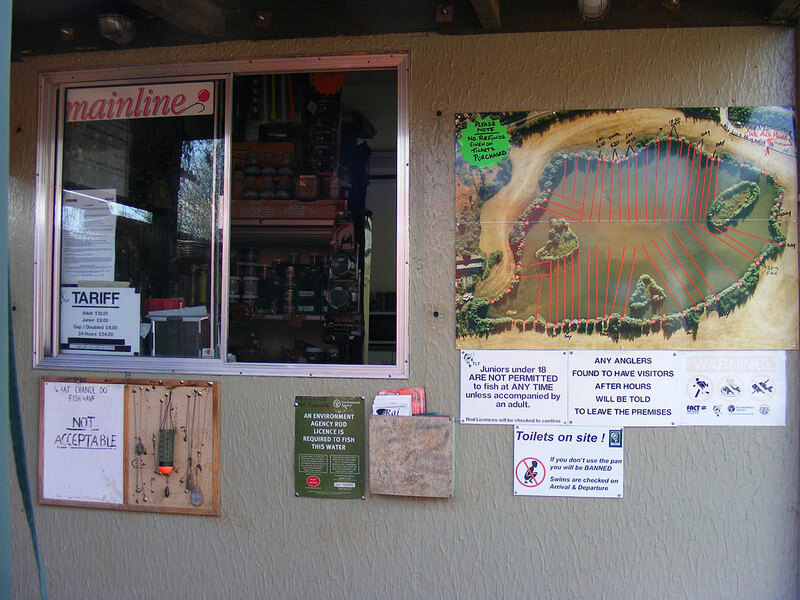 Carp Pellets and Boilies only please. All anglers must use a large padded unhooking mat or carp cradle and a landing net of no less than 36 inches. 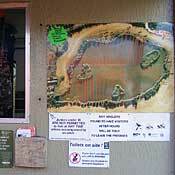 A height barrier is in place at this fishery. Please take care.